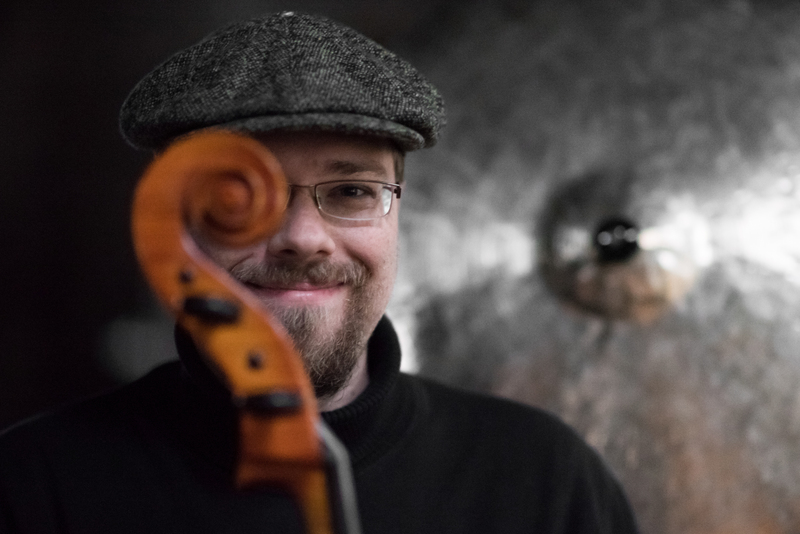 DrummingCellist is an artist building a bridge between the extremes of musical creation. Between composition and improvisation. A unity in one, a duality in one performer and creator. Going beyond musical myths and melting rhythm and harmony in one organic flow. What is a myth? It is everything that comes from the depths of human creation and collective consciousness. It is what spirals and erupts from the deepest fountains of Mankind inspiration, creation, going back to the creation of space, time, humanity and art. It is what has survived generations, nations, history. And kept its glow and shining along with strong meaning. It is what has been here since the old ages. Flowing through centuries, millenniums with tales, artefacts, from ear to ear, mind to mind, imagination to creation. It is most importantly what shows us the way forth and always what is worth listening to. This is the story and the message that Abraxas the sophomore album by DrummingCellist and performer Kristijan Krajnčan is bound to share with the world. That it is worth listening to life deeper, with passion, emotion. To go and catch the pulse of our world with understanding the past and hearing the present with an constant pulsating rhythm. Abraxas is a musical work building a modular sonic bridge between myth and reality captured in an almost mythical recording process which brought together drummer, cellist and composer Kristijan Krajnčan with producer and recording engineer Dejan Lapanja in a dedicated vision to create a musical work of daring proportions and attention to sonic detail. The landscape of sound created in the process wants to bring the listener on a journey of two worlds, the old and the new, the lyrical and the avant-garde, joining genres, juggling with musical form and expression, combining endless space with clear definition, bringing together balance and chaos, temperament and prudence, explosiveness with grace, shining light and accepting darkness. It will speak the truth from the first beat to the last note. All you have to do is listen. Welcome to Abraxas.